Highlights: A walking museum of early Impressionist painters, the last home of Van Gogh. Other Places Nearby: Paris, the picturesque village of L’Isle D’Adam, the regional natural parks of the French Vexin and Oise regions with beautiful scenic drives, villages, and hiking trails. Meeting and Event Options: The Daphne “Peniche” barge transformed into a floating inn; a small conference center and hotel in a 17 Century. Getting Here: One hour from Paris by car depending on traffic; 1 hour, 15 minutes by train depending on the connection. The old thatched roofs have gone, and the suburban sprawl of Paris has crept uncomfortably close. Yet much remains of what that gifted band of 19th-Century painters known as the Impressionists sought in Auvers-sur-Oise: old houses lined up against the steep ridge; narrow streets and twisting footpaths; a sweeping plateau above, with fertile fields of grain stretching to the horizon. 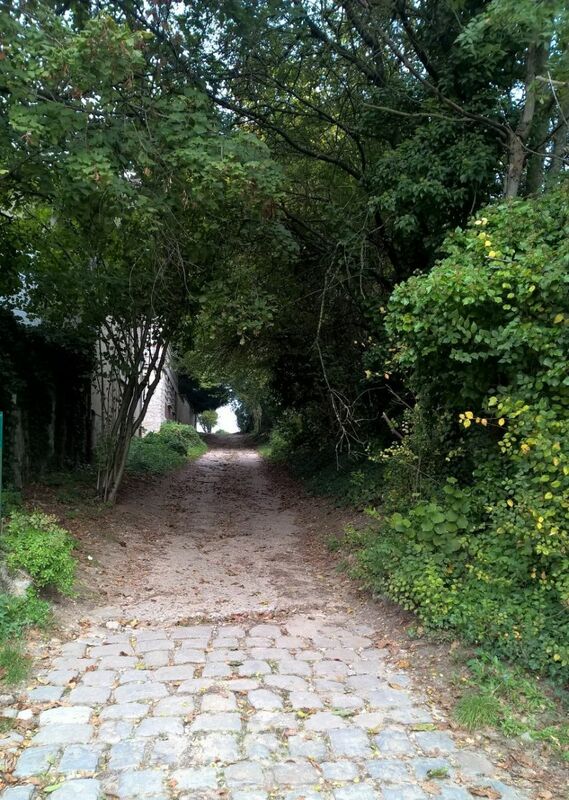 As you pass by the very same houses and landscapes made famous in the paintings of the Impressionists, the words of Vincent Van Gogh still ring true: “Auvers is very beautiful. It is the real country, characteristic and picturesque. Relics found in the area date the town to the 2nd Century, but for most of its existence it remained a tiny backwater. Situated on the banks of the L’Oise River, it was invaded by the Normans in the 9th Century, and it suffered its share of battles in the Hundred Years War (1337-1453) and the religious wars of the 16th Century. 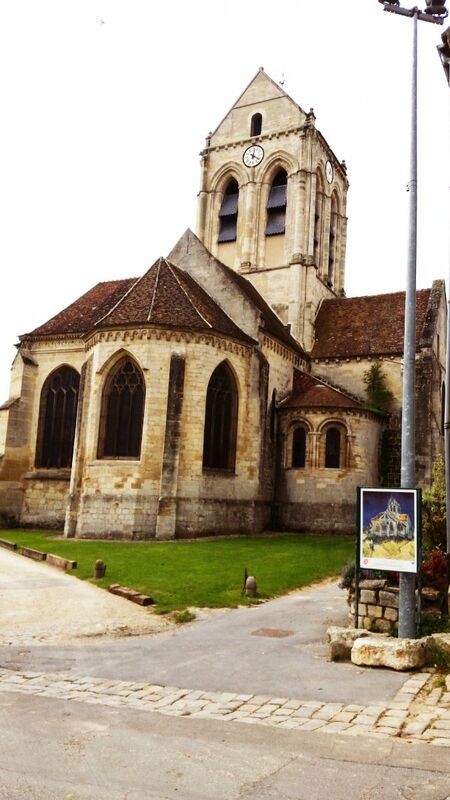 On the walking tour created by the locals, you can see the town’s oldest structure – the Notre-Dame d’Auvers church. Construction of this Romanesque-Gothic church, started in the 12th Century, centered around a small chapel used by King Louis VI’s widow, who lived in Auvers after her husband’s death. The church’s architectural design was strongly influenced by Notre-Dame cathedral in Paris, although the shape of its roof and four-sided bell tower is reportedly rare in this part of France. Inside, you’ll find 14th- to 17th-Century statuary and a pleasing procession of ribbed vaulting, slender pillars and decorated capitals. From the back, outside the church, along the walk up to Van Gogh’s grave, art lovers will recognize the façade pictured in one Van Gogh’s best-known works, L’Eglise d’Auvers (the Church of Auvers). You’ll also pass by the town’s other oldest buildings on the walks created by the village, all charted on maps that are available in English in the town hall. The Château d’Auvers was home in the early 16th Century to an Italian banker (a local nobleman lived here later and significantly renovated the structure). The tourist office and town museum occupy another of the oldest houses, Les Colombieres, a 14th-Century manor house updated in the 17th Century. Some of the oldest houses along the walking tours date to the 13th Century. Charles-Francois Daubigny was one of the first of the Impressionists to discover the village. As early as 1854, he spent a summer here with Jean-Baptiste Corot and Honoré Daumier. In the next 30 or so years, the village was visited by Camille Pissarro (who lived in nearby Pontoise) and Paul Cézanne. 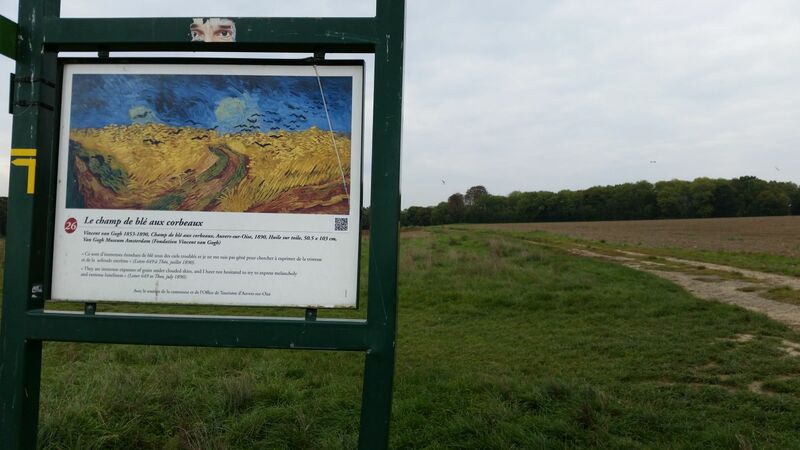 Prodigious walkers themselves, they undoubtedly tramped along some of the pathways; a sketch of Cézannes at Auvers-sur-Oise shows the famous painter on foot, an easel on his back, a canvas in one hand, a walking stick in the other. Both painters captured numerous local sights on canvas, such as Cézanne’s Dr. Gachet’s House and The Hanged Man’s House, and Pissarro’s In the Garden and Cows on the Road to Pontoise. The walking map indicates the many locations featured in paintings, with posters of each painting so one can compare the present with the past as expressed through the masters’ eyes. What is most striking is how little the setting has changed. Auvers-sur-Oise probably is the best known as the final home to Vincent van Gogh, who passed an emotionally turbulent but highly productive 70 days here before taking his life in July 1890. 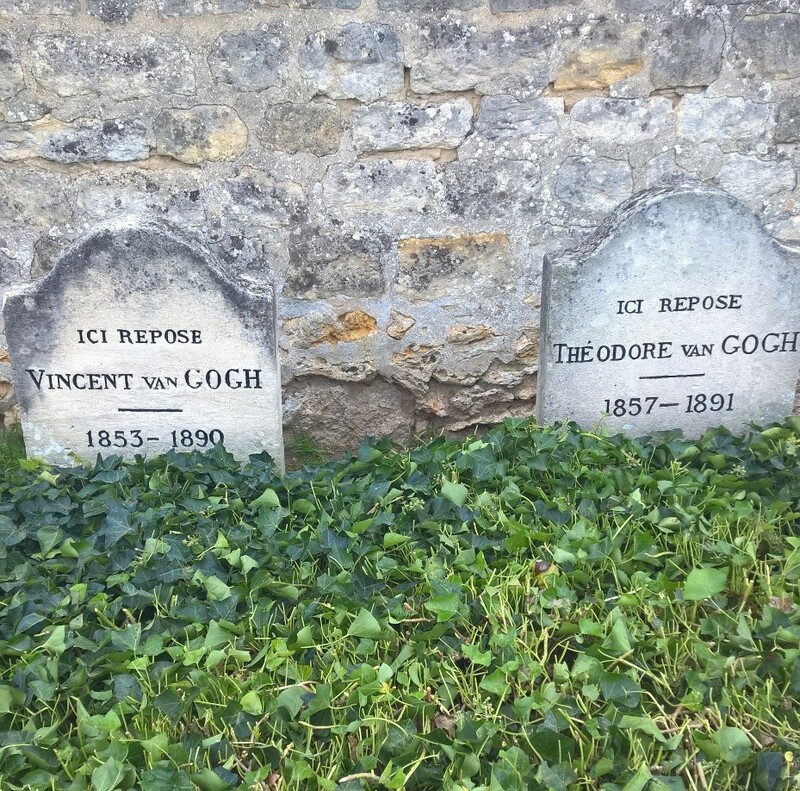 Earlier that year, Van Gogh left the hospital at St-Rémy-de-Provence and, on the advice of his brother, went to Auvers, where he met Dr. Paul Gachet, an art patron who had helped many of the Impressionists. Van Gogh took up residence in small room beneath the roof of the former Café Ravoux, just across the street from the town hall. While there, he produced many famous paintings, including portraits of Dr. and Mademoiselle Gachet, Landscape at Auvers, L'Église d’Auvers and perhaps more than 60 others. No one knows exactly what prompted Van Gogh to kill himself on the evening of July 27, 1890. It’s believed that he went into the countryside above the village, leaned his easel against a haystack, and walked behind the Château d’Auvers to shoot himself. Surviving the bullet’s impact, he returned to his own room where he was later discovered by the inn’s owner, Ravoux. Nothing more than an unsubstantiated rumor alleged that in fact Van Gogh was shot accidentally by a young boy of the neighborhood, and the tormented but kindly master did not want him to suffer the consequences. Van Gogh’s beloved brother, Theodore, sped from Paris to his bedside, but Vincent died early on the morning of Tuesday, July 29, in a room that is open to visitors and looks much as it was. Theo died not long after, probably of causes related to syphilis. Today the graves of the two brothers lay side by side, bound together in a bed of ivy at the back wall of the town cemetery.